Riding: I have been riding since 1998, consisting of dressage, jumping, western training. 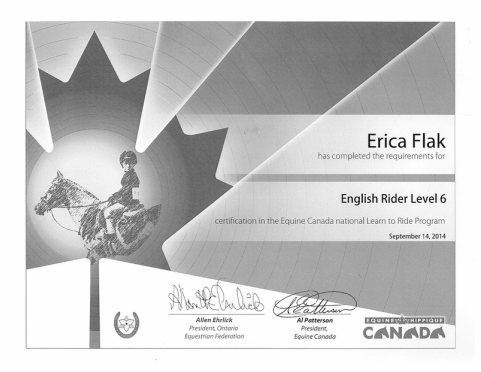 My current passion is dressage; and I was lucky enough to compete in Kentucky the summer of 2014 at the North American Junior and Young Rider Championships. 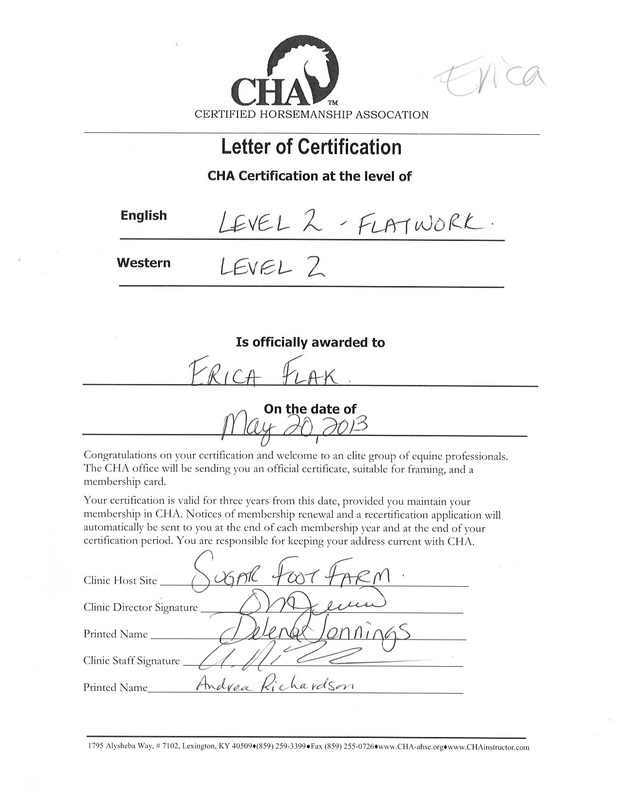 Coaching: I have been teaching horseback riding lessons since 2011 for children and adults. 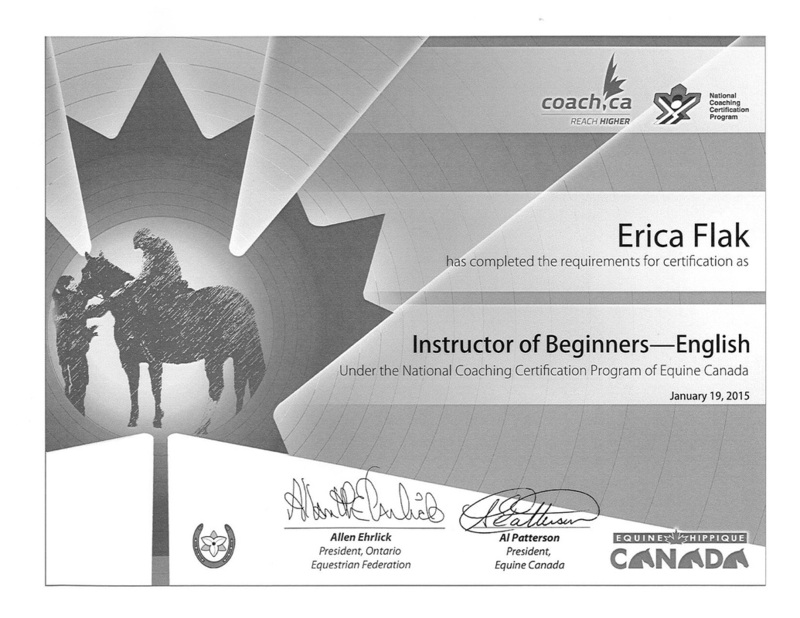 I am a certified coach of beginners by CHA and Equine Canada. I have coached my students in hunter- jumper but everyone has to learn the dressage basics first! Natural Horsemanship: I have experience with Monty Roberts natural horsemanship, though I am not certified yet, I travelled to California the summer of '13 to begin this process. I have also received training in the art of TTouch and equine massage. Goals: To ride at the highest level of dressage and to compete internationally. To train high level horses and riders. 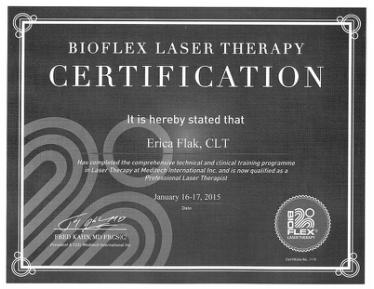 To help horses and riders become the best they can be for all disciplines and walks of life. Currently: working on furthering my dressage career, training clients horses, and of course coaching my wonderful students!